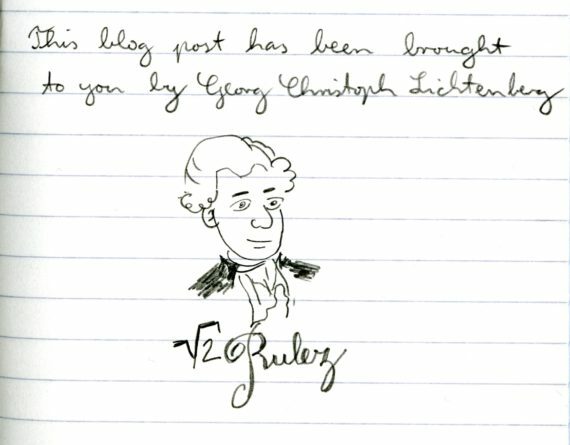 A quick follow-up to the blog post from two days ago. Today the postman brought a parcel. It’s one of the new Uniqlo t-shirts! 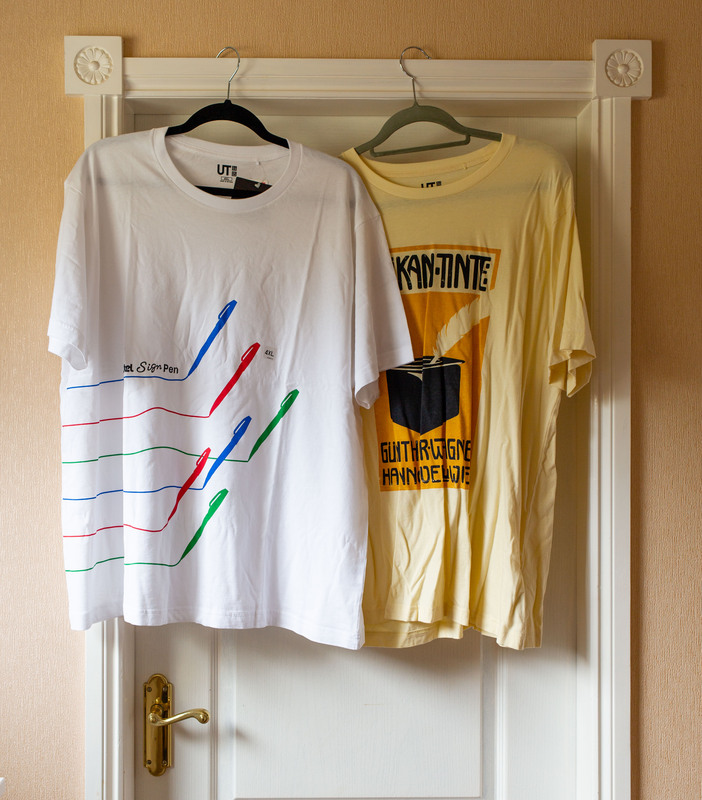 As reported previously the Japanese Uniqlo t-shirt sizes seem to be a size smaller than the European ones, i.e. a Japanese XL is more like a European L. Funnily enough, this is not consistent across Asia. Chinese sizes seem to be like the European ones, not like the Japanese ones. 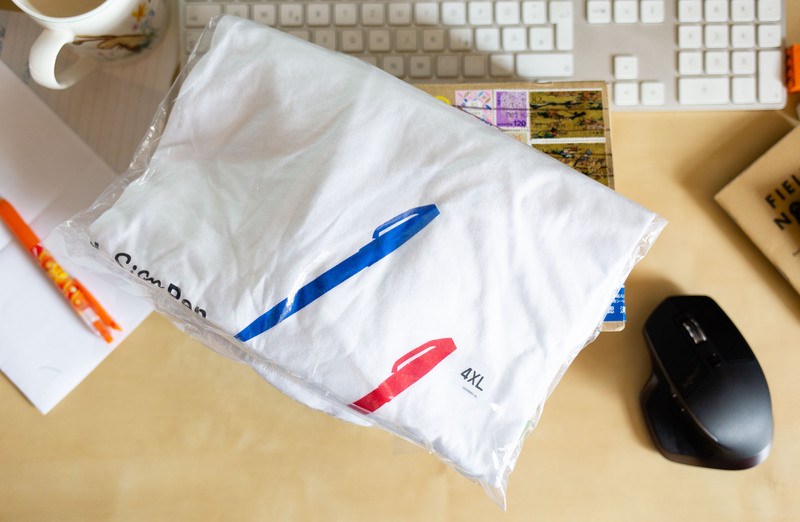 Yumiko sent me the Pentel Sign Pen shirt in 4XL. Thank you! I assume it’s going to be like a European 2XL or 3XL. It’s certainly more than big enough. 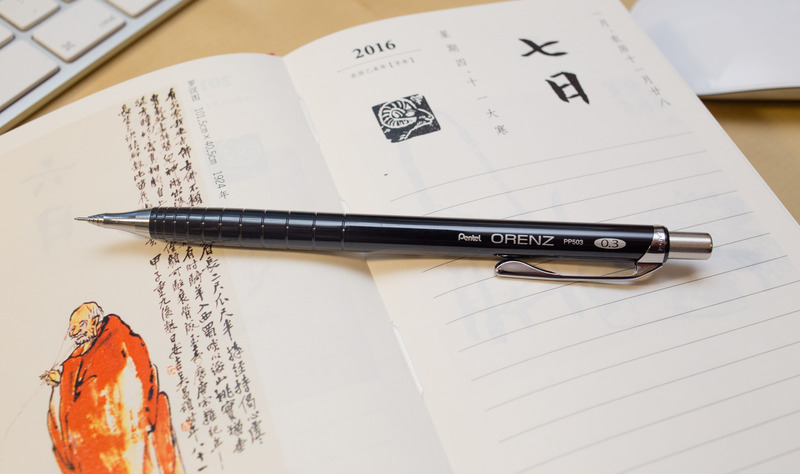 In a recent blog post I introduced the new Pentel orenznero, also called PP3002, its model number (for the 0.2mm version). As you probably know nero means black in Latin and Italian – and, surprise surprise, the orenznero is black. Nero is also oren, as in oren(z), spelt backwards. 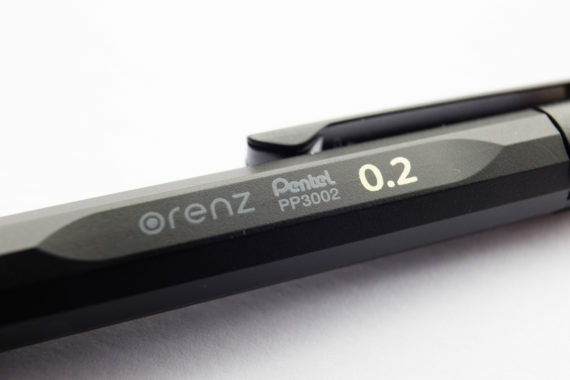 Pentel seems to try to emphasise this fact by not using capital letters and the o on both ends of orenznero is stylised as, what looks to me like, a lead in a pencil sleeve viewed from the top. 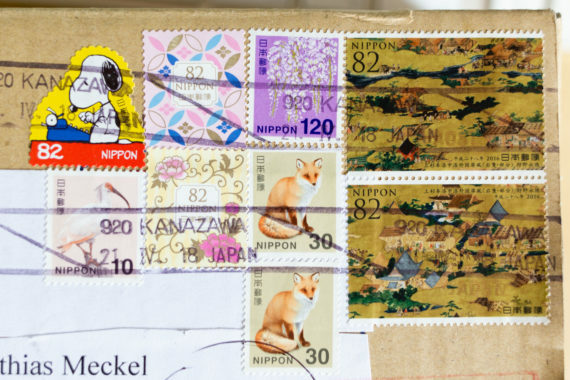 Thanks to Yumiko I got one just after it was released in Japan. Altogether I paid just over £30 (~$36;35). 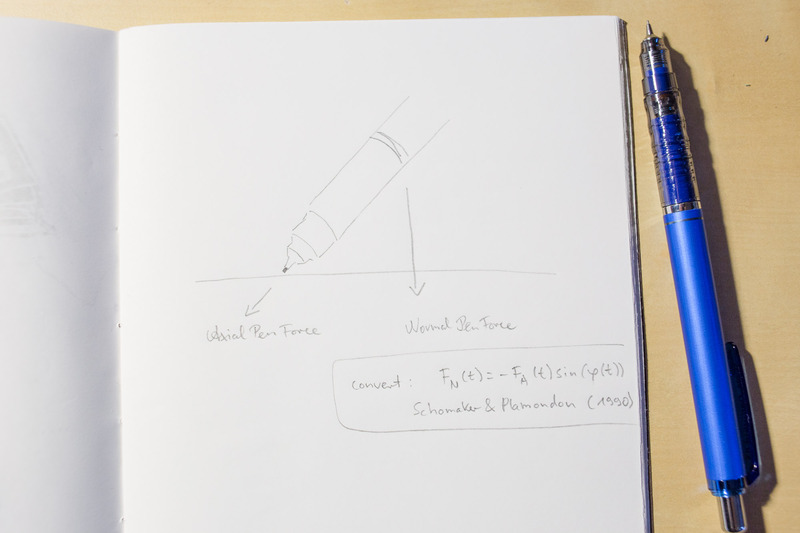 Here are my observations regarding this pencil after a week of use. First off: transporting this pen. You can’t make this pencil pocket safe very easily. 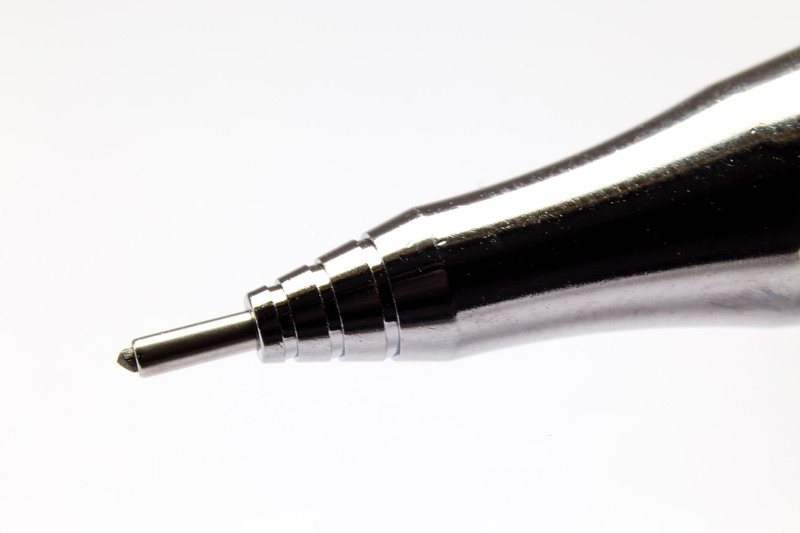 It is possible to retract the sleeve, but you have to push the sleeve/pipe really hard into the body of the pen, for example with your fingernail. It’s also not a great pen to transport in pen sleeves/pockets/slots1. 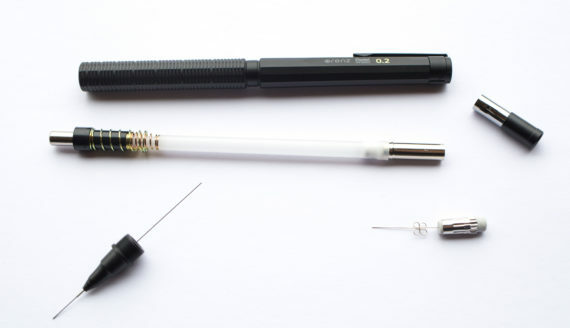 If you try to put this pencil in a pocket where the pencil’s sleeve or pipe will touch the material of the pen slot (think of something like the Nock Co Hightower) the lead will forward and possibly break in your pen slot. The Orenznero looks beautiful. 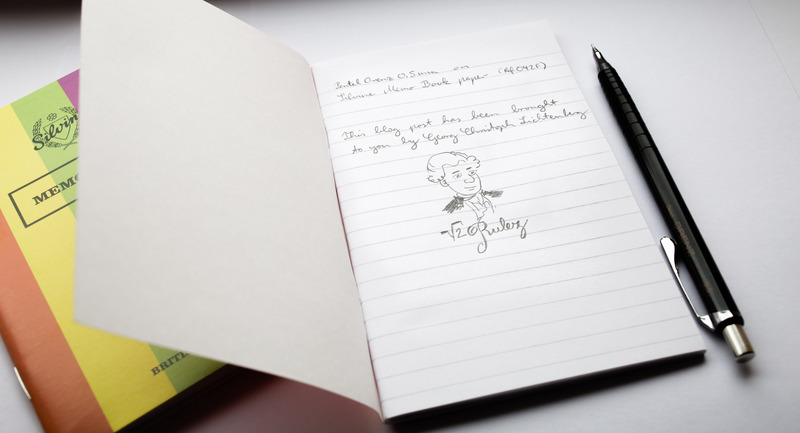 Especially on photos where you think it has something of the allure of the Rotring 800. In reality, the Orenznero feels much cheaper. The body is made from plastic, but it is nice to touch plastic with a little bit of a texture. The original Orenz is a great pencil. 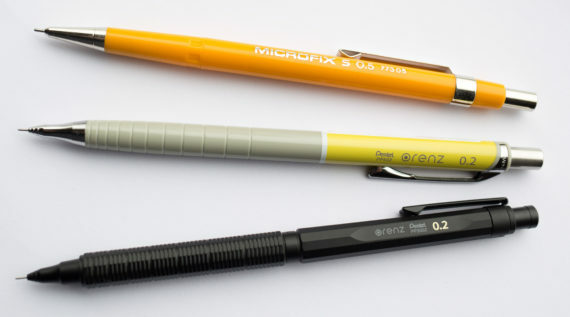 It felt as if Pentel revived an old friend of mine, the Staedtler Microfix. In my previous blog post about the Orenznero, I talked about the history of the sliding sleeve pencil and about alternatives, including very cheap alternatives from Faber-Castell that cost less than a tenth of what I paid for the Orenznero. Well, I have to say that the Orenznero feels, of course, better and is better made, but because the original or classic Orenz was so good I somehow expected that the Orenznero represents a quantum leap for auto advance pencils. This is not the case! It is, however, a nice pencil. The Orenznero will work great is you hold it vertically, but if you write at an angle the sleeve will not glide back properly as it does with the classic Orenz, so if you don’t use light pressure when writing your graphite lines on the paper will get very thin or will even disappear as the sleeve will cover them. The force needed to slide the sleeve starts very low, like a classic Orenz, but the more the sleeve is pushed into the body the more pressure you need, in the end up to 0.3N. 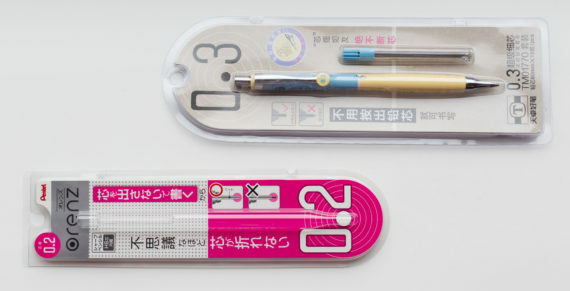 Advancing the lead with a click and using the Orenznero like a normal pencil is not an option as it will advance too much of the 0.2mm lead – it would break. 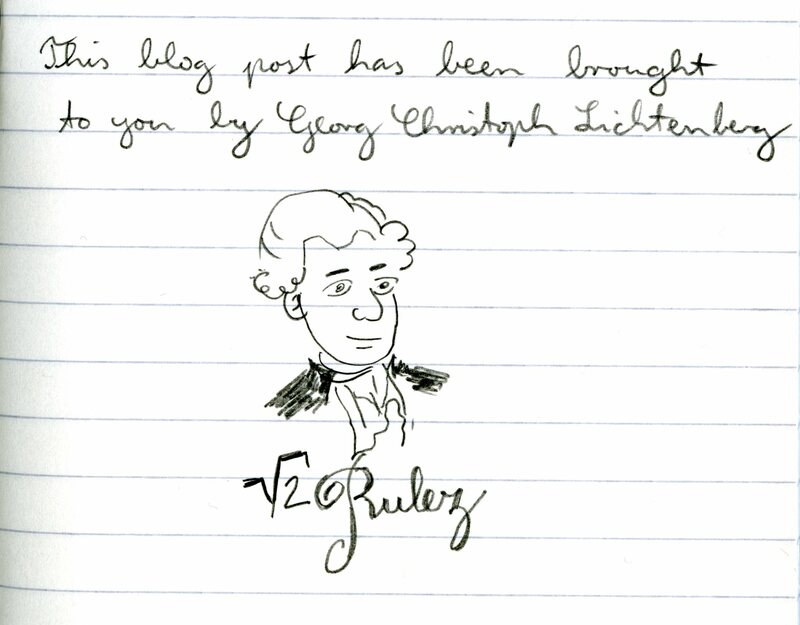 One thing to add, the Orenznero is very comfortable to write with hand has a nice centre of gravity in the front half. It’s a nice pencil, but it requires a bit more pressure to write with. 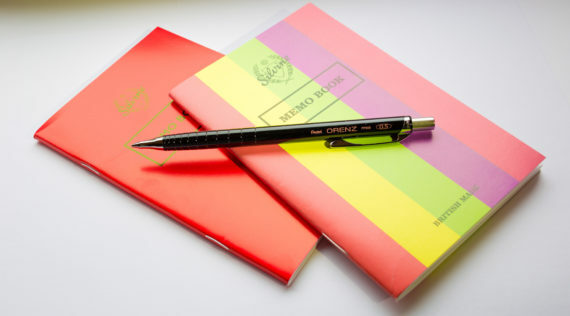 This is off putting in my case, as I am not so keen on pens that subconsciously make me change my writing habit (in this case to make me press harder when writing), something that might turn into the behaviour I use with other pens, too. 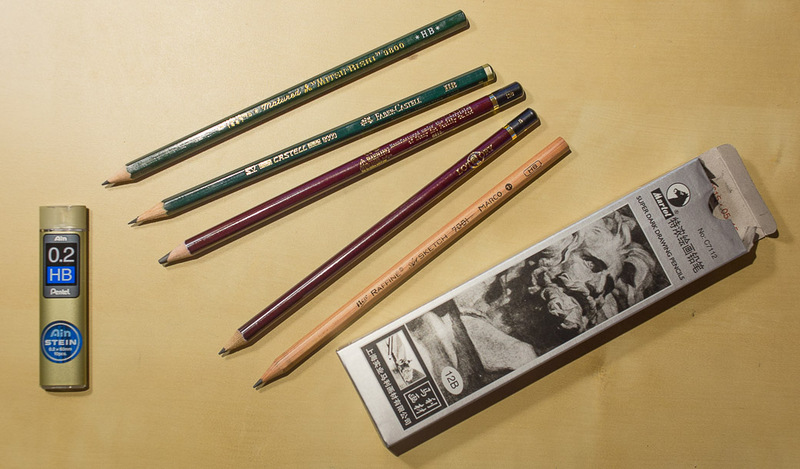 Just because it is such a nicely designed pencil I will use it a bit longer though, at least for now.